One thing that works for remembering things, at least when I know I need to call upon them in the near future, is index cards. Since starting learning a new language (Icelandic), and, separately, realizing over the holidays that I had lost sight of some important goals, with the added complexities of aging and a more complex life with a new job in a new city, index cards re-entered my life as a necessary tool. Guides for using them suggest you make your own, and in the two cases where I needed them (for studying Mandarin Chinese and studying for a streetcar driving test), that worked. I hadn’t considered actually constructing my, though until I came across a guide from chinesehacks.com on how to make my own index cards on a keyring. 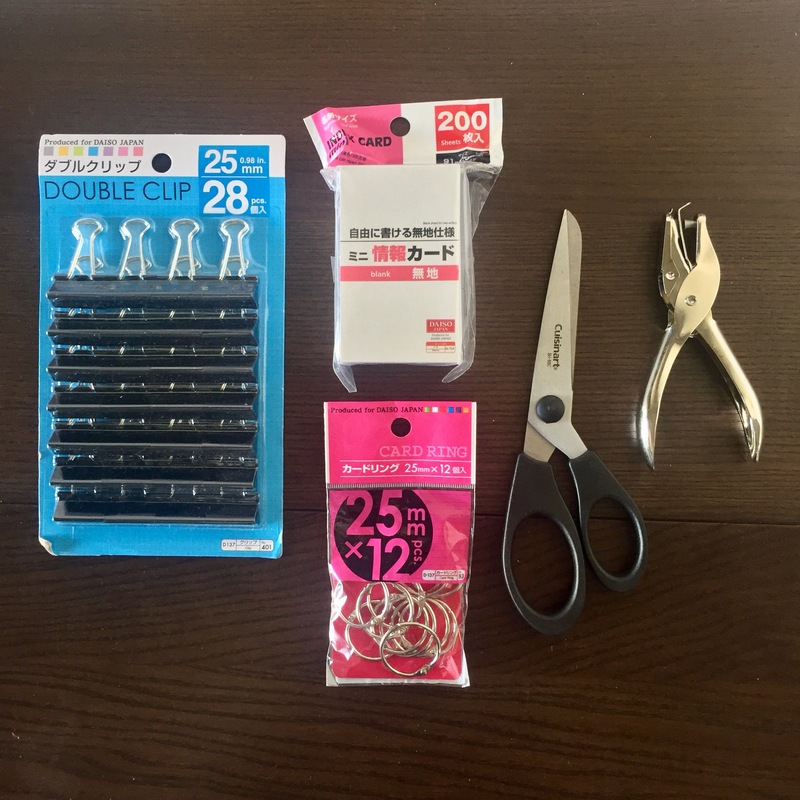 I found all the items for cheap at Daiso’s Vancouver location over the holidays. There’s no obstacles to stopping me from making them now. I’m going to start small (another thing that works in learning something new) and make one that lists the tasks during my Sunday routine (something else that works in offloading the work my brain needs to do). I can’t wait to see how this goes!